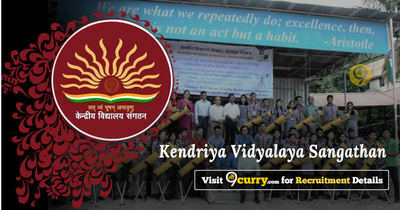 KVS Vice Principal Interview Result 2019: Kendriya Vidyalaya Sangathan has announced the Result on 19 Jan 2019 for KVS Vice Principal Exam 2019 . KVS Principal Interview Result 2019: Kendriya Vidyalaya Sangathan has announced the Result on 19 Jan 2019 for Principal Exam 2018 . KVS LDCE Admit Card 2018: Kendriya Vidyalaya Sangathan has issued the Admit Card on 12 Jul 2018 for LDCE Exam 2018. - Post Graduation/ Master's Degree with B.Ed. Or equivalent and 05 years Working Experience. Post Graduation/ Master's Degree with B.Ed. Or equivalent and TGTs having 03 years regular service as TGT in KVS. Hindi Post Graduation/ Master's Degree with B.Ed. Or equivalent and PRTs having 05 years of regular service. Candidates log on to http://kvsangathan.nic.in/. After applying online applicants need to send the hard copy/print out of online application form along with Vigilance Clearance of each candidate and certify the Hard Copies of Generated List received to Dy. Commissioner/ Director, Kendriya Vidyalaya Sangathan, All Regional Offices/ ZIETs, The application with all relevant documents should reach on or before 07 May 2018.